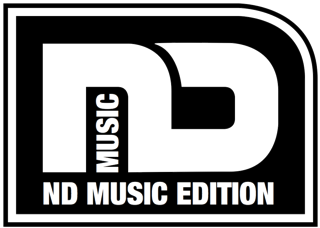 ND MUSIC EDITION is committed to producing the highest quality, professional grade, sheet music editions. Too much music is quickly punched in and spat out of notation software with poor layout, organization, and notation. Nels uses the LilyPond Music Engraving system to create sheet music that rivals professional publishing houses. Printed editions will always be more personal and relatable to musicians. While digital editions are gaining in popularity, what they gain in ease they loose in personal response and longevity. Digital devices will always change, update, and reformat, but a printed edition … they will last for at least a hundred years. LEGAL STUFF RE-TYPESET SCORES that are posted on this site for download are licensed under Creative Commons Attribution 3.0. These editions are free to download, display and distribute. Editions MAY NOT be altered. Editions may be used for commercial events. SCORES OF MUSIC BY NELS DRUE DAILY that are posted for download are licensed under Creative Commons Attribution-Noncommercial-No Derivative Works 3.0. Editions are free to download, display, and distribute. Editions MAY NOT be altered, and derivative works MAY NOT be made from them. Editions MAY NOT be used for commercial events without express permission of the composer. Authorship of the document remains with the composer, and the composer must be given credit when the edition is displayed or performed. I was very impressed by your Bach’s Invention scores, and wondered whether you are going to have Sinfonia socres as well? I don’t have any plans at the moment to create an edition of Bach’s Sinfonias, but I will consider it. I love what you have done with the site, and I’m inspired to do the same as you are. I’m curious, what fonts do you use for the text in your scores? Its incredibly elegant and readable, but obviously not LilyPond’s default font tree. Thanks! Thank you for your comments! I use various fonts in my scores. It depends on the origins of the score (classical, modern), what the score is used for (study, performance), and whether there are lyrics (economy of space). Of course I don’t want to give away all my secret weapons of design (font is one of them), but I will say that you can find just about any font you need, for free, from http://www.fontsquirrel.com.